(John Hary). 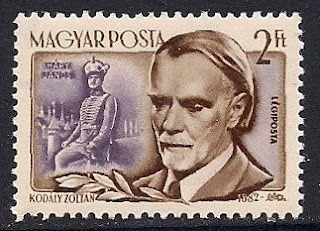 Opera in prologue, 5 parts, and epilogue by Zoltan Kodaly; libretto by Paulini anf Harsanyi after a poem by Janos Garay; premiered in Budapest on October 16, 1926. Hary Janos is a famous liar in Hungarian folklore. The opera tells how Napoleon's wife competes with a peasant girl, Orase, for his love; how he defeats Napoleon's avenging army singled-handed; and how he returns home to Orzse.